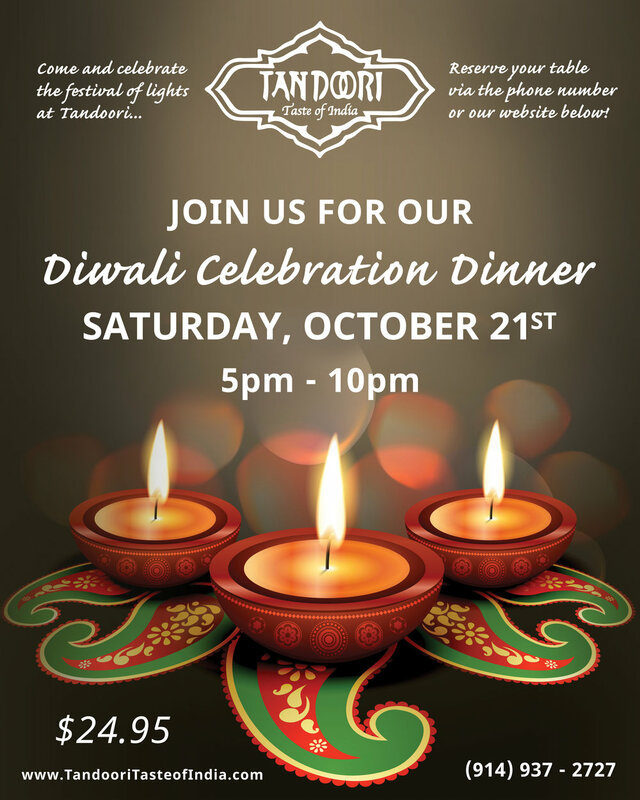 Join us Saturday, October 21st from 5pm-10pm for a special Diwali Dinner Buffet in celebration of the festival of lights and the Indian New Year! We will serve over 25 delicious items to celebrate Diwali including all of your Tandoori favorites, seasonal specialties, and homemade sweets! $24.95 per person. Visit our website, www.tandooritasteofindia.com or call us at 914-937-2727 to make reservations. We hope to see you there and please help spread the word!